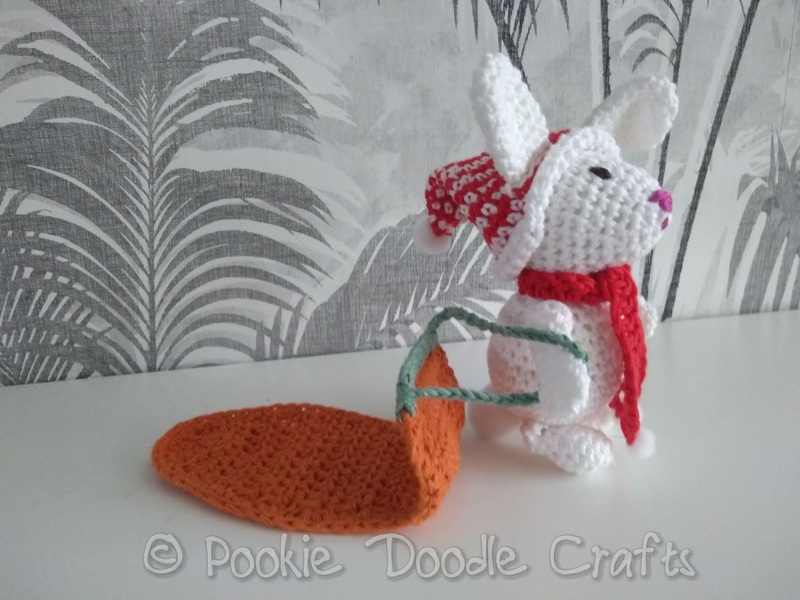 When I first saw this pattern I fell in love with it, how cute is this little bunny pulling his/her little carrot sledge. 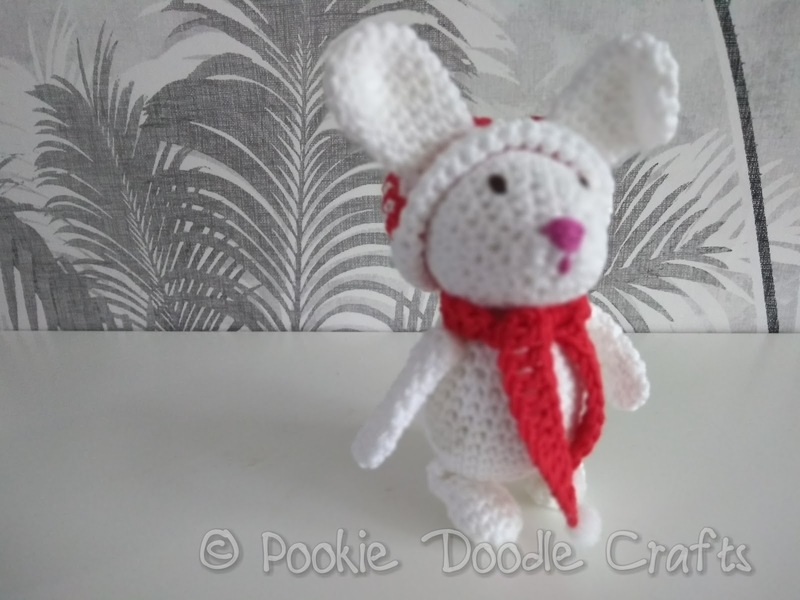 The pattern is free (link below) from Amigurumitogo. Sharon creates beautiful amigurumi and her patterns are always free, no matter how complicated. 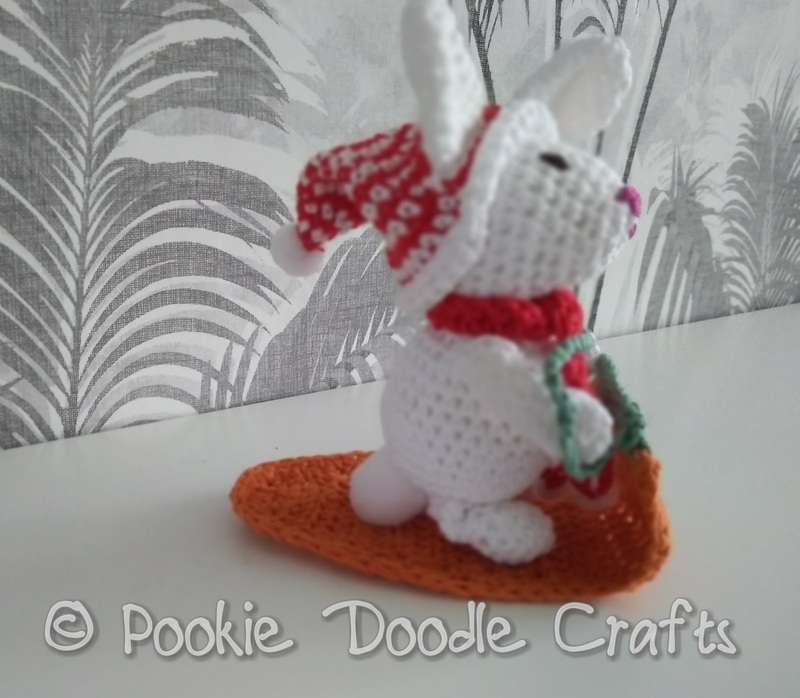 How kind is that? 1: I didn't have enough yarn to make two sides to the sledge and sandwich plastic between to strengthen it. 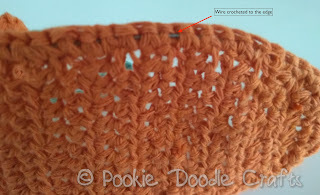 So instead I used some fine wire and crocheted it to the edge to attach it to the carrot shaped piece, you can just see the wire on the wrong side, between the stitches. I was then able to pull and shape it to get the carrot look just right. 2. In the pattern Sharon says that the bunny will not stand up alone, she used pins to make it stand up for photos. I wanted to be able to make it stand as a Christmas decoration without pins as young grandchildren would probably be picking it up, so after a bit of pondering I decided to make the tail quite large and position it so that it acted like a third leg and supported the back, allowing it to stand. 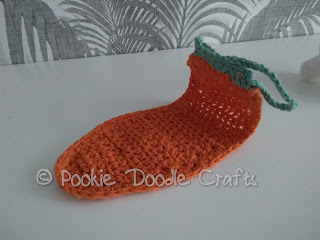 I made it in two evenings, the pattern is very easy to follow with lots of photo help and instructions. 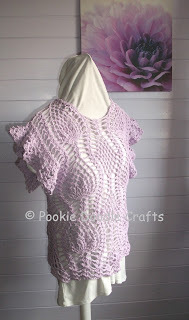 I used Drops Safran 100% cotton yarn and a 3.00 mm crochet hook. 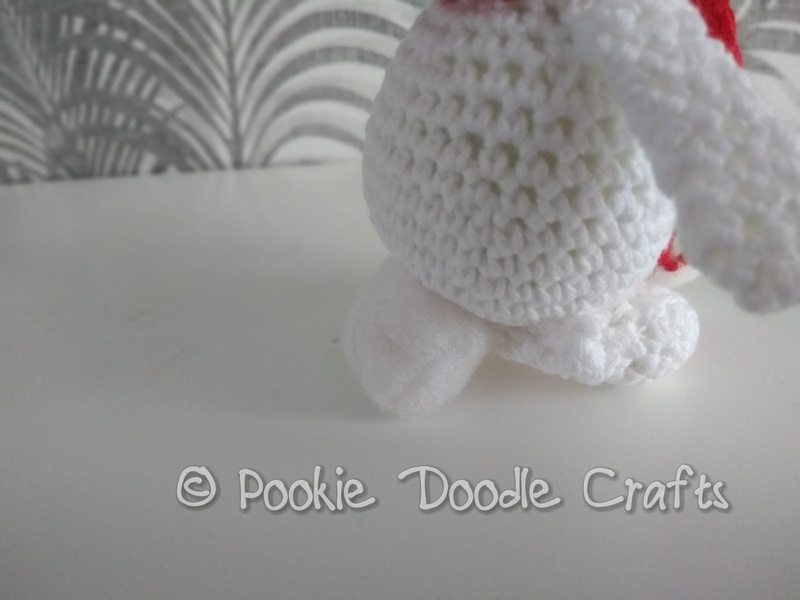 The finished size is approx. 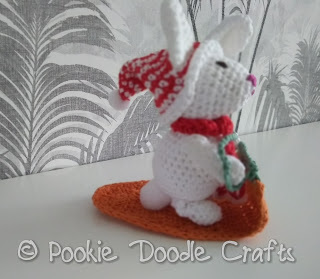 6" long on the sledge (including the curve) and the bunny is 6" tall from foot to tip of ear. 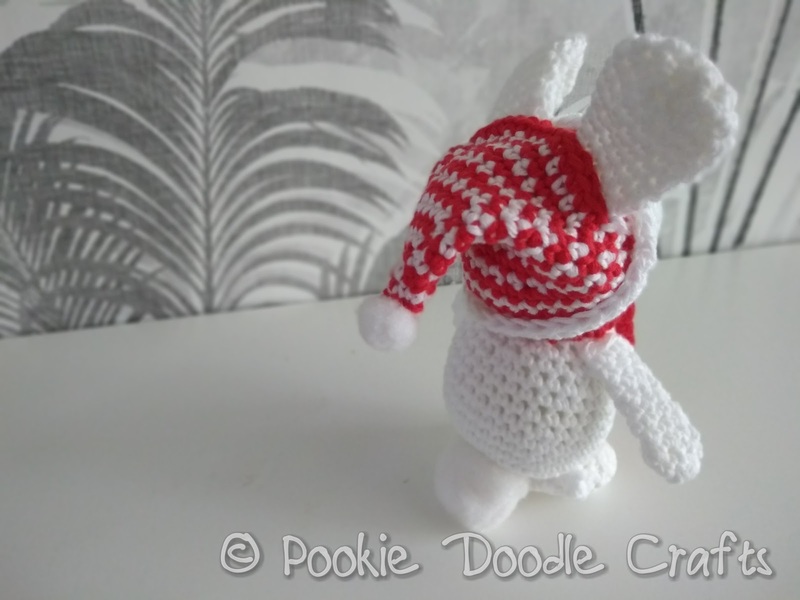 There is also a separate pattern for the hat and scarf which is linked from the bunny pattern.